By Allan L Shaw, a four-time public company CFO (e.g., Serono & Syndax) who has served on five public boards, which included the chairing of two audit and two compensation committees. He currently serves on the board of directors of Vivus Inc. Putting the negative political rhetoric aside, the biopharma industry has never been more productive as it continues to positively impact society. This contribution is evidenced by the industry setting an all-time record of 61 new drug approvals, which shatters the previous record of 50 set in 1996. Yet with a tremendous year behind us, the future has never been brighter as the industry’s drug-development pipeline is poised to continue delivering previously unimaginable innovative medicines to address unmet medical needs and improve the standard of care for patients. Despite major breakthroughs for some diseases, many of the most common chronic human diseases, such as heart disease, diabetes, and stroke, which remain leading causes of mortality, are not effectively treated by existing therapies. Furthermore, psychiatric diseases remain a tremendous burden on society, and existing treatments have limited efficacy. Development of innovative medicines for many common or chronic diseases that affect large populations is essential. Yet a BIO report indicated that most critical disease areas with large populations have seen significant declines in novel R&D investment (ranging from 30 percent to 60 percent). This trend is occurring for a variety of reasons, including scientific challenges in discovering and developing new drugs, practical challenges in conducting the clinical trials needed for new drug approval, and low economic returns that have made the development of new treatment modalities for common diseases an unattractive investment. For example, the FDA requires drug developers in certain chronic indications to run larger cardiovascular outcome trials after completing pivotal efficacy studies. Notwithstanding some select initiatives in cardiovascular disease and diabetes, there continues to be a funding exodus from chronic diseases: biopharmaceutical companies and venture capitalists have decreased or eliminated their investments in drug development for common diseases in favor of medicines with greater potential return on investment. For example, 30 percent of last year’s drug approvals were for oncology and/or oncology- related indications. Furthermore, the pipeline for anticancer therapies is brimming with hundreds of new candidate drugs (representing the plurality of the industry’s developmental pipeline at approximately 39 percent and, not surprisingly, accounting for the highest level of funding), with many developmental efforts concentrated on the same cancer targets. How can this be capital-efficient? Besides, this lemming approach to drug development (assuming successful) will inevitably commoditize innovative science while foregoing development of new treatments for common illnesses. This begs a more fundamental question concerning public health: “What needs to be done to encourage the allocation of resources to develop/commercialize drugs for common chronic diseases because of the expense and risk of developing them?” Inevitably, this will require a combination of incentives and policy changes (e.g., regulatory and clinical) to change the economic risk-reward model for common diseases. precursor to targeted therapies (subset-population groups of common diseases). Clearly all these factors have contributed to making the risk-reward model attractive for development of drugs for rare diseases. While there are no silver-bullet solutions, the greatest factor impeding the creation of innovative drugs for common diseases is the enormous cost and risk of clinical trials that constitute the largest single component of the R&D budget. In fact, Phase 3 trials are by far the biggest expense, and the biggest risk, of new drug development (typically incurring 90 percent or more of that drug's development costs). In contrast, rare/orphan disorders are often exceptions as drug developers can take advantage of the FDA's accelerated approval process and either forgo Phase 3 studies or run smaller studies. "The current regulatory development model for common chronic diseases must be overhauled to cost-effectively demonstrate drug efﬁcacy and safety"
Simply put, the current clinical development process is antiquated and, ironically, is a roadblock to optimal patient outcomes. 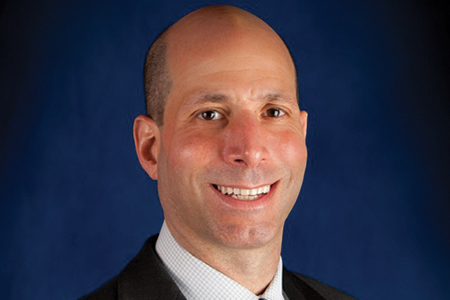 As a former FDA Deputy Commissioner for Medical and Scientific Affairs noted, the highly empirical, statistical method that currently predominates is inflexible; it restricts innovation and results in "overly large" trials that yield information "about how large populations with the same or similar conditions are likely to respond to a treatment. But doctors don't treat populations, they treat individual patients (e.g., it is typically necessary to undertake extensive studies to determine the overall benefit-risk ratio to the broader population of patients who may use a drug). Clearly, clinical efficiency and the regulatory process must be addressed. As a first step, the regulatory process needs to undergo major changes that reflect the realities of scientific research and the profiles of chronic long-term conditions to reduce time and costs. A new paradigm is required that emphasizes flexibility and adaptability. Perhaps consideration should be given to adopting a flexible and conditional process composed of smaller studies with population subsets that will hasten patient access to innovative drugs while creating a de-risking mechanism. Furthermore, technology should be leveraged (e.g., EHRs and related infrastructure) to enable a shift in emphasis from the clinical data to real-world evidence to better reflect the actual patient experience. This framework would enable cost-effective development and, if successful, will facilitate further investment for studies and commercialization to bring such products to larger populations. In terms of health spending and the number of people affected, chronic illnesses continue to pose the greatest healthcare threat. It is of critical importance that developmental efforts for medications that address common diseases are incentivized, not impeded. The regulatory developmental process of yesterday is archaic and needs to catch up with the vast scientific promise of today, otherwise there may be no tomorrow. The current regulatory development model for common chronic diseases must be overhauled to cost-effectively demonstrate drug efficacy and safety (e.g., risk/benefit) with the aim of accelerating patient access to innovative new therapies. While this is much easier said than done, there is an opportunity for the biopharma industry to play a pivotal role in this badly needed evolution. This will require working closely with regulators, payers, and the healthcare community to establish appropriate incentives and, more importantly, streamline the regulatory development process. Only then will we be able to effectively provide the medicines patients really need. If the proliferation of orphan drugs can be used as a barometer, the benefits of improving the capital efficiency of developing drugs for common chronic diseases will be self-fulfilling, driving the allocation of drug development resources with the needs of the global patient population. ALLAN SHAW is a four-time public company CFO and has served on five public boards, which included chairing two audit committees and two compensation committees. He currently serves on the board of directors of Vivus Inc.